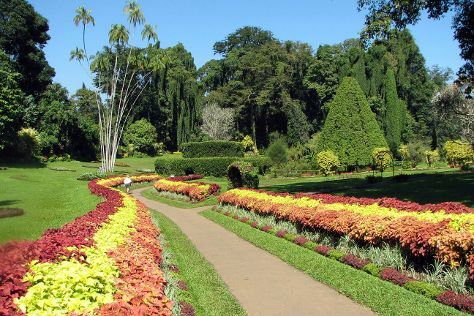 On the 16th (Thu), take in nature's colorful creations at Royal Botanical Gardens, then steep yourself in history at Temple of the Sacred Tooth Relic, and then contemplate the waterfront views at Kandy Lake. For reviews, more things to do, photos, and tourist information, read our Kandy holiday builder app . Manama, Bahrain to Kandy is an approximately 9.5-hour flight. You can also do a combination of flight and taxi; or do a combination of flight and bus. You'll lose 2 hours traveling from Manama to Kandy due to the time zone difference. 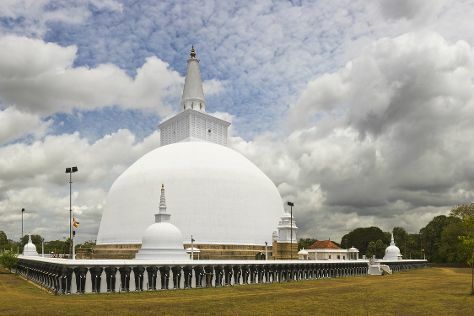 Wrap up your sightseeing on the 16th (Thu) to allow time to drive to Anuradhapura. On the 17th (Fri), take in the views from Gal Palama (Stone Bridge) over Malwathu Oya, then contemplate in the serene atmosphere at Sri Maha Boodhi Temple, then contemplate in the serene atmosphere at Jaya Sri Maha Bodhi, and finally contemplate in the serene atmosphere at Ruwanwelisaya Dagoba. To find ratings, traveler tips, other places to visit, and other tourist information, read Anuradhapura trip itinerary planning website . Traveling by car from Kandy to Anuradhapura takes 2.5 hours. Alternatively, you can take a train. Wrap up your sightseeing on the 17th (Fri) to allow time to travel back home.